It was the summer of 2007 when I experienced just such an epiphany while browsing through one of those slightly anachronistic hippie shops in San Francisco’s Haight Ashbury district. From the ceiling speakers above me it came, a sound at once raw and utterly beautiful. A sound I can describe only as pure, unadulterated joy. “My God, who are these guys?” I asked aloud, and the clerk held up a CD jacket. The song was “Die, Die, Die.” The album was Emotionalism. The band was The Avett Brothers. I nearly ran from the store and did not stop until I had a copy of my own. It was love at first listen. The clarion voices, the rapturous harmonies and engaging melodies; the organic sound of real instruments, acoustic instruments, pure and unpolluted by electronics. Real musicians playing real music. And those lyrics. Lord, those lyrics -- pure poetry. Raised on Dylan and schooled in Guthrie, I had begun to believe the best days of authentic American roots music was behind us. I was wrong. Turns out it was simply incubating in two brothers growing up in the piedmont of North Carolina, playing and singing music together, developing a seamless chemistry unique to brothers. Their grandfather, Clegg Avett, was a country minister, and from him they learned that souls are won not by preaching but by storytelling, by reaching inside the human heart to find universal truths. 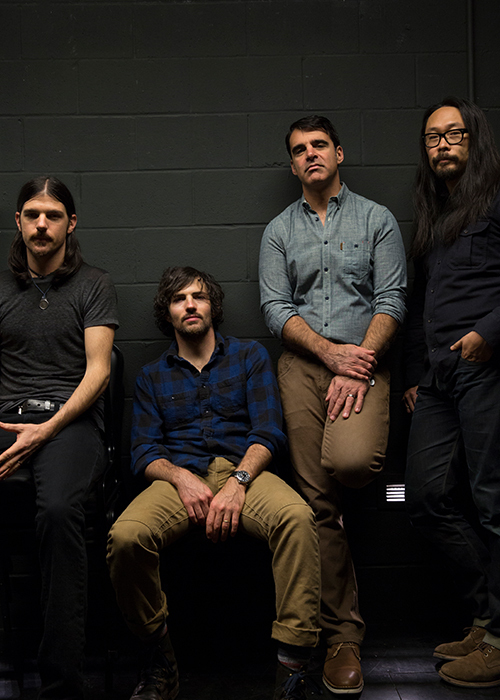 By the time Scott and Seth Avett formed the Avett Brothers with bassist Bob Crawford -- their honorary “third brother” --, the alchemy had begun: A fresh new chapter in the American songbook. One that honored bluegrass and country and folk and rock and grunge and punk, but was none of those and all of those. At once energetic and emotional, joyous and heartrending, old-timey and cutting edge, raucous and lovely. A sound that was and is simply, uniquely The Avett Brothers. If Emotionalism was the band’s breakout album, then 2009‘s I and Love and You was its coming of age. For the first time, the band teamed up with producer Rick Rubin, who imposed a new discipline while being sensitive not to quash the spontaneity and enthusiasm that brought such rollicking charm to the group’s earlier self-produced work. Wondrously whimsical songs such as “January Wedding,” “Laundry Room,” and “The Perfect Space” became audience favorites and catapulted the album into the top 20 on the Billboard 200 bestselling albums. Late night followed; so did appearances on PBS’s Austin City Limits and at the 53rd Grammy Awards. The boys from North Carolina were becoming a national phenomenon. And now the Avetts are back, produced again by Rubin, with the much-anticipated follow-up to I and Love and You. The twelve songs on The Carpenter continue the band’s exploration of the human condition. They will pull at your heart and make you stop and think. One moment filled with sunshine and happiness, the next sorrow and regret, they are always beautiful, always honest. Poetry from the soul. Fresh off the road and speaking from their hometown of Concord, North Carolina, Scott and Seth Avett agreed The Carpenter feels different to them, deeper, more meaningful, more starkly reflective of their own hopes and fears, than past efforts. They are wiser now, and more clear-eyed about the fragility and finiteness of life. The writing for The Carpenter reflects the brothers’ journey toward growing older and the unavoidable realities that await. And those songs, they do what all great writing must: explore and illuminate the human experience. The haunting “Winter in My Heart” speaks to the hopelessness of depression. “Through My Prayers” is a song of regret; the narrator has lost a loved one and knows there were things he needed to say that now will go forever unsaid. The anthem-like “Down With the Shine” reflects on the futility of trying to defy time and aging. “A Father’s First Spring” describes new fatherhood and how children change everything. One real-life experience that has profoundly shaken the Avetts’ world came in August 2011 as the band was putting the final touches on The Carpenter. The members were stepping off an airplane in Charlotte when Crawford learned his 18-month-old daughter Hallie had been rushed to the hospital in convulsions. Scott, Seth, and touring cellist Joe Kwon accompanied Crawford to the hospital where he and his wife, Melanie, would learn their daughter had a rare and aggressive form of brain cancer. “It was an earthquake of the soul,” Seth recalls. The crisis put everything in perspective for the band members and reminded them what matters most in life. John Grogan is the author of the #1 New York Times bestseller Marley & Me: Life and Love With the World’s Worst Dog and the bestselling memoir The Longest Trip Home.